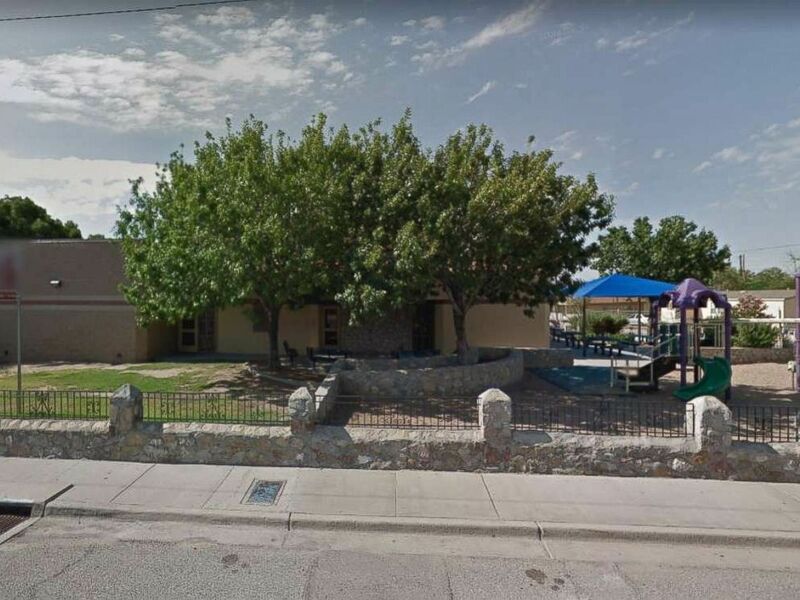 An El Paso, Texas, police officer has been relegated to desk duty after a disturbing video surfaced of the cop pointing a gun at a group of children and roughly arresting one of the boys last week. The incident took place on Thursday when police said they responded to a call about a group of young boys trespassing near a recreation center in the western Texas city bordering Mexico. The video, which was uploaded to a user's Facebook page on Friday, appears to show a police officer pushing one of the boys against a wall with his knee while the other boys taunt the officer and hurl profanity at him. The officer can then be seen drawing his gun and pointing it at some of the boys, who recoil, before the cop quickly re-holsters his service weapon. His partner then drags the kid into the street and the first officer whips out his baton and begins screaming for the onlookers to "get back," before eventually pushing a woman and getting into a heated verbal argument with her. The person filming the confrontation can be heard saying, "We're going to put a report on these two fools. It's all good." The officer then comes after the man filming the incident and can be seen arresting him as well. Two people were arrested, according to police, including one minor and one adult. The El Paso Police Department said on Saturday they had launched an internal investigation of the incident and the officer who pulled the gun has been placed on desk duty. "This is a serious matter that will be thoroughly investigated," El Paso Police Department spokesman Sgt. Enrique Carrillo told El Paso ABC affiliate KVIA. "All the facts, circumstances and events that led to the incident will be looked into. As such no further comment will be made at this point." The incident happened outside of a recreation center in central El Paso, Texas, on Thursday, July 5, 2018. The unnamed officer has been on the El Paso police force for four years, according to KVIA. Assistant City Manager Dionne Mack held a press conference Saturday and called the police officer's behavior "disheartening." "For me that it was most disheartening is to sort of see the children labeled and just sort of see them sort of discarded," Mack said. "I mean this is one incident you know these are our children this is our community, and I am not giving up on those children, and although we had this incident I am very proud to be a part of this community that I know values our children." Mack said that she does plan to wait for the investigation play out before condemning the officers involved. "We want to make sure that there is some resolution and I do think it's important for the community to understand that the Police Department understands that this is very important, and the perception of our community and the way the police interacts is very important, and we can't draw conclusions until the investigation is done," she said.